Home / Amazing / News / Unbelievable / Viral / Nagsaboy ng Dry Ice sa Swimming Pool ang Lalaking Ito, Pero laking Gulat niya nang Ito ang Mangyari sa Pool! Nagsaboy ng Dry Ice sa Swimming Pool ang Lalaking Ito, Pero laking Gulat niya nang Ito ang Mangyari sa Pool! 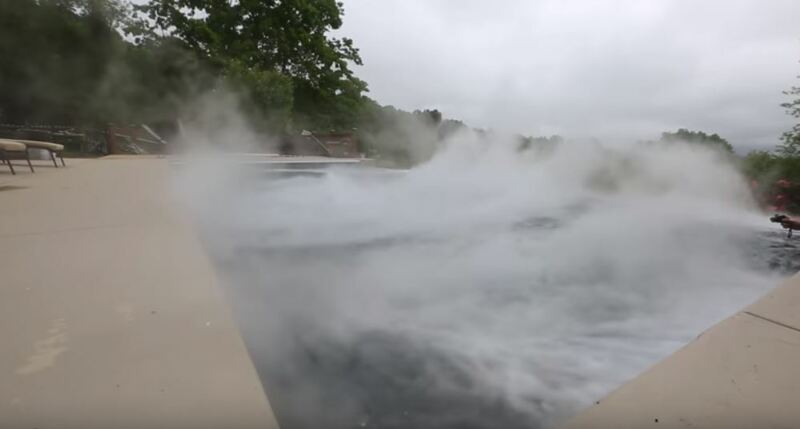 What could possibly happen when a 30-pound dry ice was poured into a swimming pool? It’s no secret that we all have a lot of questions running inside our minds. From the simplest questions down to the most complicated and most out of this world questions, name it! Some of these questions can never be answered by a single sentence while others can simply be answered by yes or no. The good thing is that there are lots of people, specifically the YouTube users who are actually spending lots of time and money just so they could answer the questions in people’s minds! Thanks to this YouTubers or more popularly known as Vloggers, we were able to find out the answer to our weirdest questions. One of these video bloggers is the YouTube sensation known as the Crazy Russian Hacker who already had a couple of videos for his followers. However, it’s his most recent video that captured people’s attention. 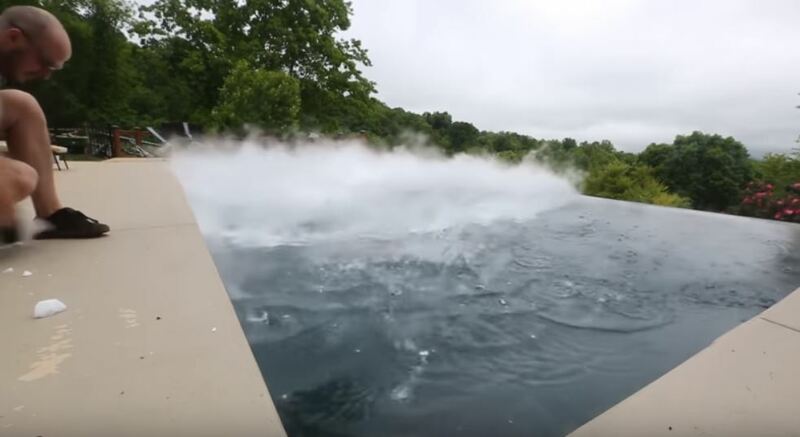 I’m sure that you’ve been asking what would probably happen if you throw 30 pounds of dry ice into a swimming pool right? Well, this Crazy Russian Hacker already answered your question! This crazy experiment no longer requires a lot of effort for all he would do is to stick to the proper scientific methods. 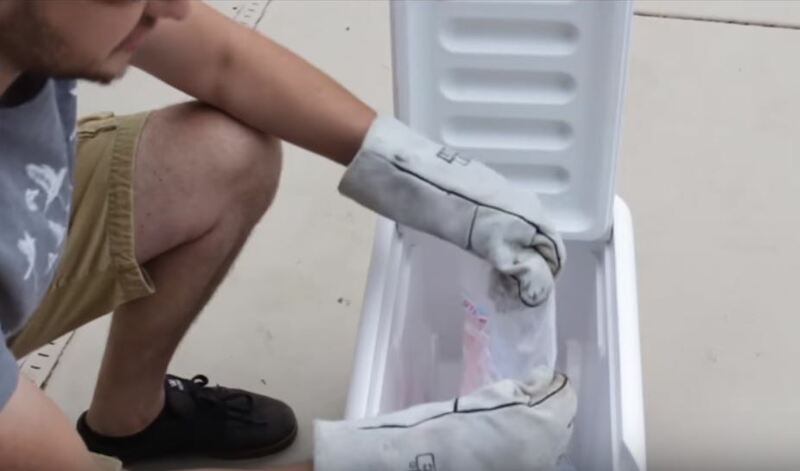 The first step is to through the 30 pounds of dry ice into a cooler. SAFETY FIRST – Wear your gloves! The next step is breaking it apart. You’d have to break the ice apart and once broken, all the dry ice will be thrown into the water. 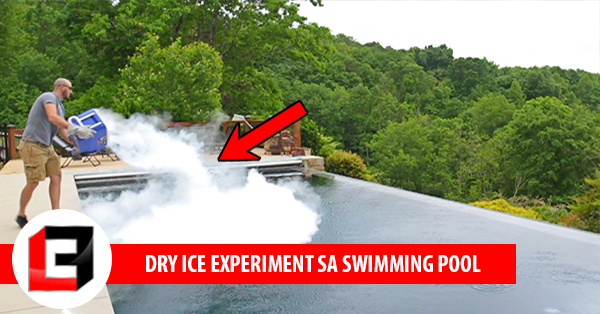 However, this is an experiment that should never be done at home since Dry ice is a frozen carbon dioxide that acts as an acid when dumped into the pool, which could possibly cause the imbalance in your pH levels. He then poured the dry ice from the cooler and tossed the ice straight out of the container. The next thing he knew is that the dry ice and his swimming pool has already somehow created a DIY Smoking machine that’s not good for your health. 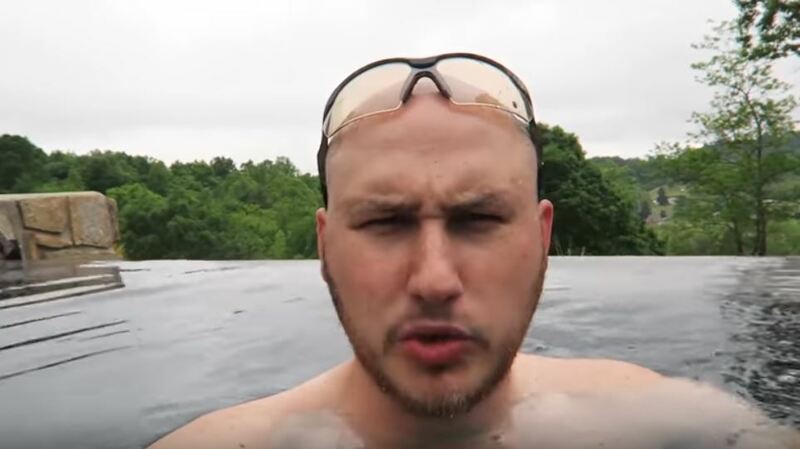 The acidity in the pool didn’t stop this Russian man to take a dip in his pool and explore what’s happening.